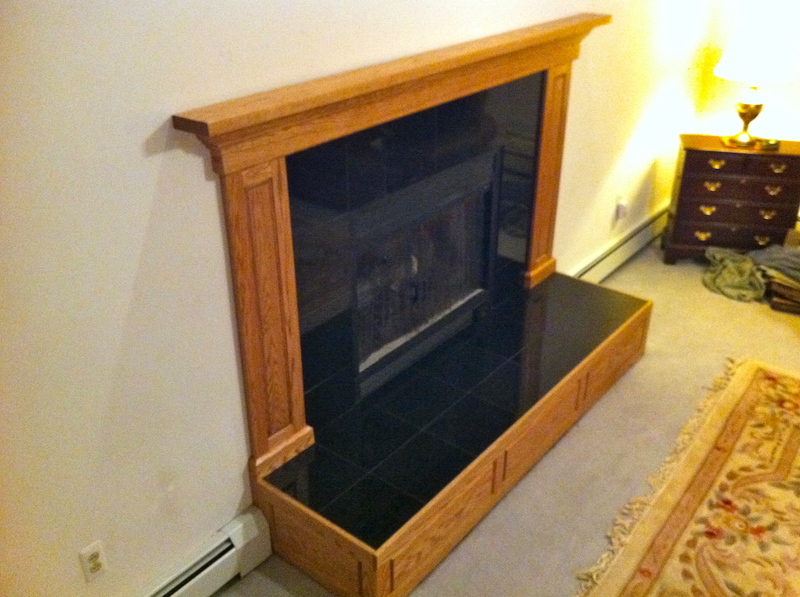 Just finished an upgrade on a fireplace Mantel and Hearth. 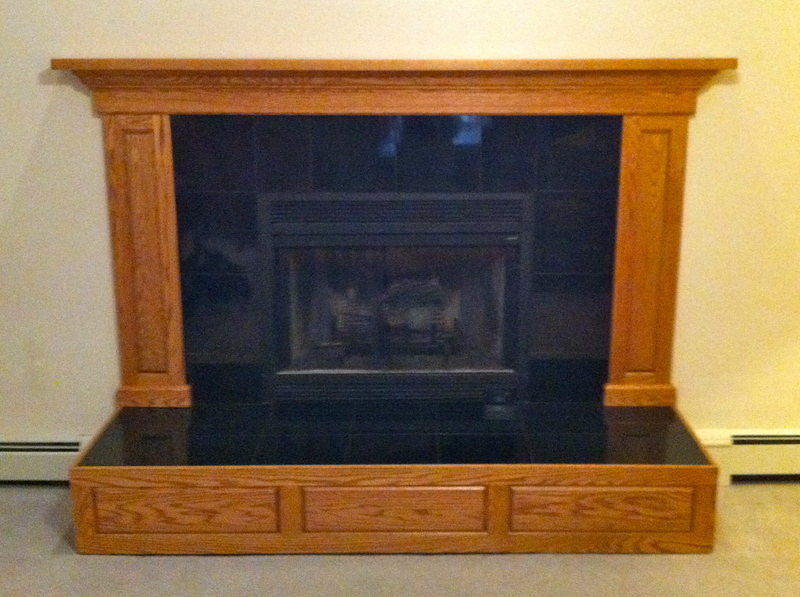 The mantel is made from a solid 8/4 red oak board. 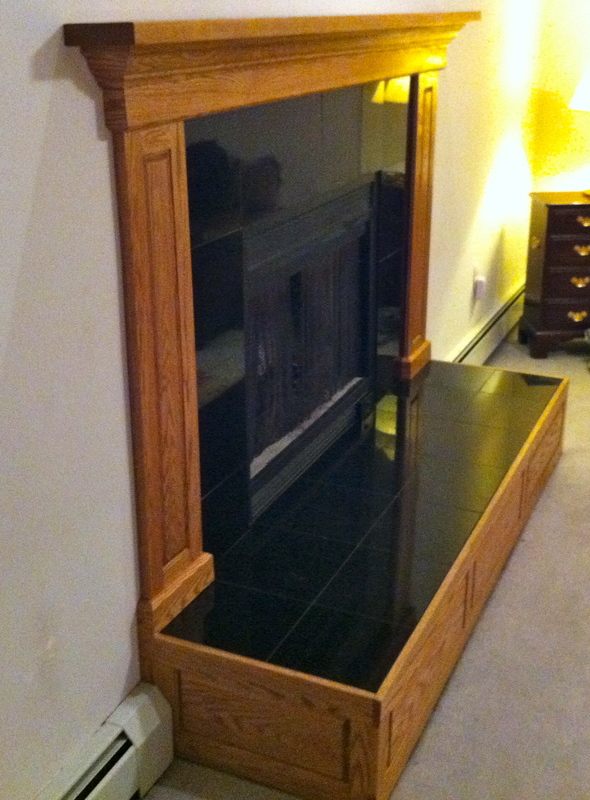 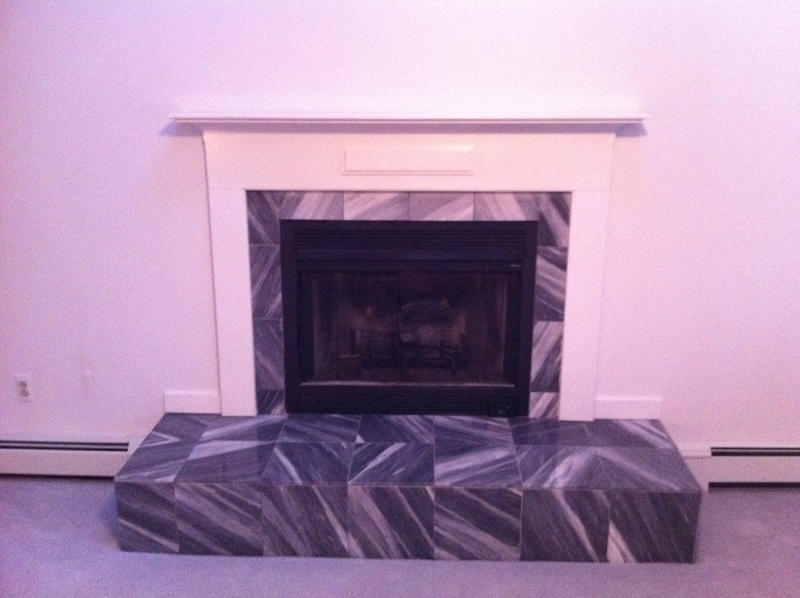 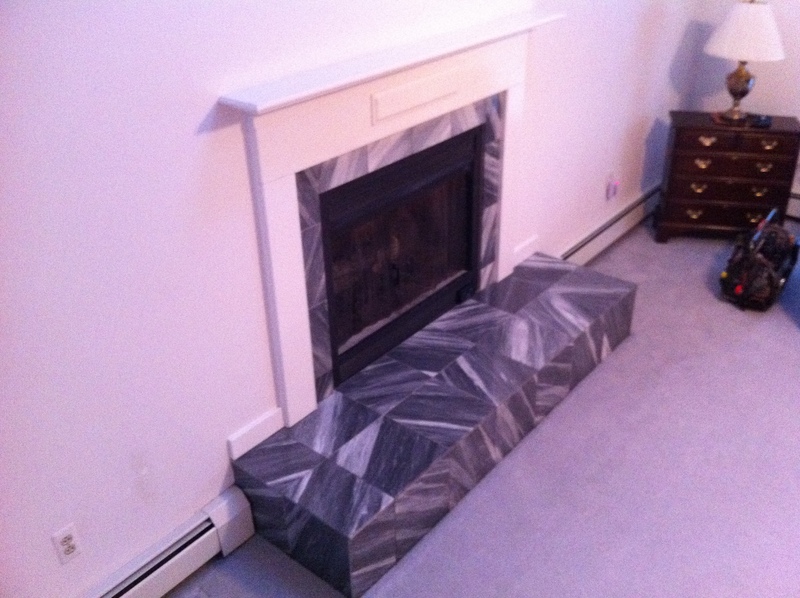 Raised panel construction for the hearth surround with absolute granite tile.